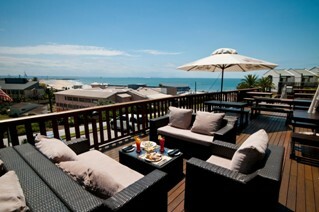 The Kelway Hotel is situated along Port Elizabeth’s magnificent beachfront, about 200 metres from the water's edge. The hotel is located 10 minutes away from the airport and business districts. 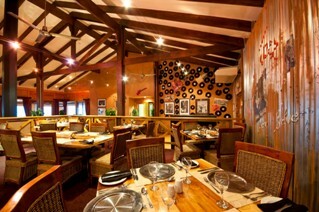 The hotel is within walking distance to many of the city's tourist attractions, perfect for holidaymakers. The Hotel offers 36 four-star luxury rooms, 25 three-star rooms and two premier rooms. The Kelway Hotel is not wheelchair friendly. bathrooms include a shower and a bath. 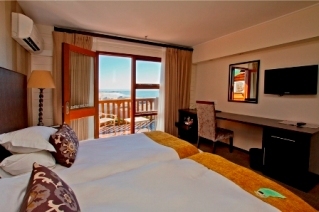 The Hotel also offers 4-star family suites with an interleading door connecting both rooms. Two of the suites are sea facing and the other two suites are non sea facing. Guests are invited to dine from the a la carte menu and enjoy the wide range of beverages available in the Farriagers restaurant and bar. Farriagers provides the perfect setting to unwind and relax while allowing guests to take in the spectacular views across Algoa Bay. 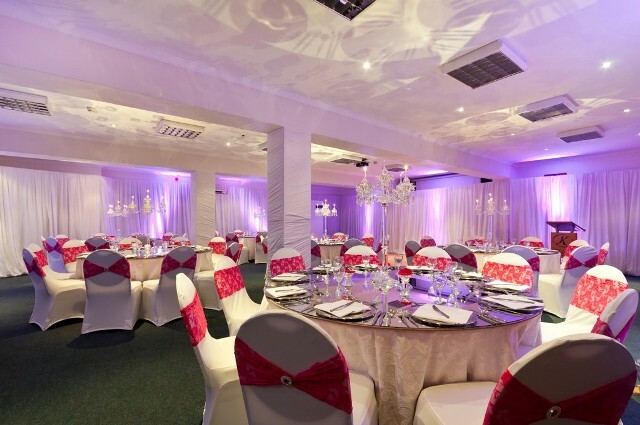 For those seeking the perfect venue for business functions, the hotel offers two fully furnished and air-conditioned conference rooms, both with wi-fi access. The Tanner conference room can seat 100 people, while the Tanner boardroom can seat 16 people. No matter what your reason for travel, the Friendly City has an array of activities that will keep you and your family entertained for the duration of your stay. Port Elizabeth and its surroundings play host to many nature reserves and game parks. Situated just 45 minutes (72km) outside of the city is the world renowned Addo National Elephant Park in the Sundays River Valley area of the Eastern Cape, which boasts 350 elephants as well as the rest of the big 7, including black rhino, buffalo, lion, leopard, great white shark and sperm whale. 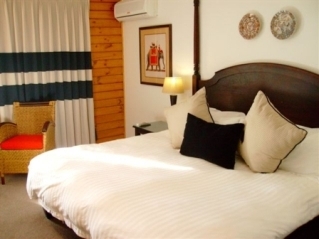 Other well known parks include the Kragga Kamma Game Reserve and the Seaview Lion Park just 30 km outside the city centre. where one can view lions, cheetahs and various other big cats and animals. Enjoy light meals and drinks on the deck and visitors are invited to play with the younger lions and leopards for a small fee. Just across the road from the Kelway Hotel is Bayworld. Here one can enjoy an educational tour of the snake and dinosaur park, explore the underwater treasures of the sea at the oceanarium or take a tour of the museum, which exhibits South Africa's rich cultural and natural history. The Boardwalk Casino and Entertainment World, situated at the heart of the Port Elizabeth beach front, offers a variety of activities for the whole family. Take a gamble at the state of the art casino, which houses everything from slot machines, roulette, black jack and poker tables. Keep the children entertained at the Magic Company, which offers numerous thrilling rides, a putt-putt course and an entertainment centre. If wining and dining is what you are after the Boardwalk Casino and Entertainment World has a wide range of restaurants catering for everyone’s taste buds or sit back and relax in front of one of the NuMetros latest movies. Port Elizabeth can offer a lot for those who seek a more adrenaline-filled stay and it is not surprising that Algoa Bay has been dubbed the water sports capital of the world. The surrounding waters often allow for perfect conditions for surfing, surf skiing, kayaking, power boating and many other water related adventures. Take a 45 minute drive to Jeffreys Bay where avid surfers can tackle and enjoy perfect barrels at Super Tubes, arguably the best right-hand point break in the world, which also hosts The Billabong Pro every July. If golf is your passion, take a five minute drive to the Humewood Links Golf Course and practise your swing on one of the country's top ten rated courses. Other courses include the Port Elizabeth Golf Club with its pristine fairways or the Walmer Country Club. 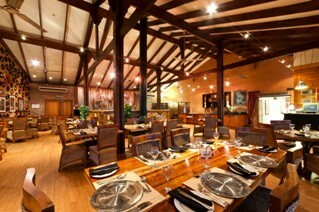 Both courses are a ten to fifteen minute drive from the hotel. Take a tour through Port Elizabeth's New Brighton Township and take in the sights and sounds of the township life. You will experience the diversity and cultural history of the Xhosa people on the tour. Afterwards you can enjoy drinks or a traditional meal at the local ‘shebeen’ (previously illegal drinking houses). For the motoring enthusiasts take a tour of the AutoPavilion automobile discovery centre in Uitenhage, where you will journey through Volkswagens history and discover the cars that defined the future of automotive engineering.